There are currently 11 users and 3765 guests online. Took it pretty casual didn't jump in the boat til 7:00, headed out through the cut and headed to the 30's to look for some birds. Action plan for the day was to get the old boy onto some tuna to get the boat blooded. We spotted a patch of birds around the 28m mark, set my rod out with a skirt, just finished setting the old boys and about to put it in the holder ZIIIIIIING, thing was screaming in my hand. Passed it over to the old boy, ZIIIING my rod starts screaming. Double header couple of Southern Blueys. 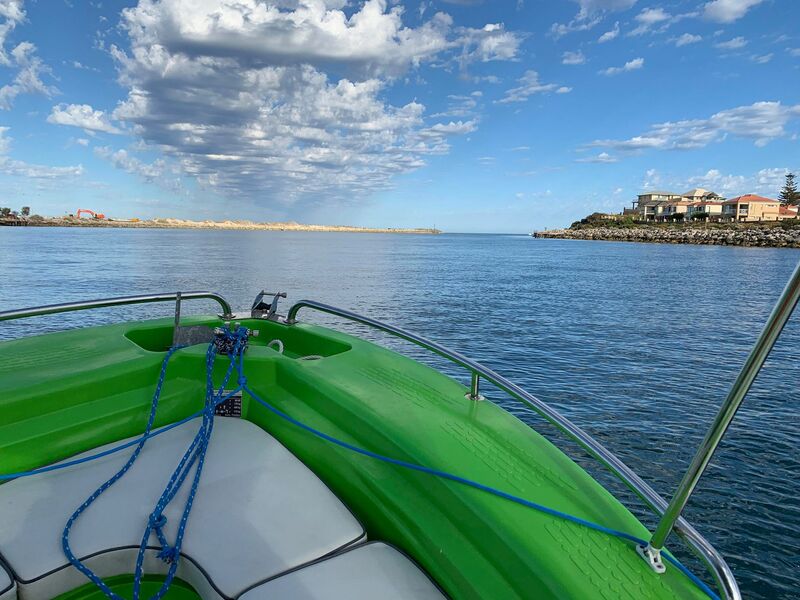 The school took off and was about 8:00 now and the Southerly was just starting, decided to head North and plan to make our way back in through the Mandurah mouth. Little bit of a plod along, no real signs of anything happening, still had the skirts out the back, ZIIIING mine goes again, Old boy starts bringing his line in and gets smashed within a few seconds, two more Blueys these two better size than the last. Spot another pack of birds so make our way slowly, aproach the birds and cirle them, trying to round up the school and then it was on. Back at the jetty in the marina by 10:00. 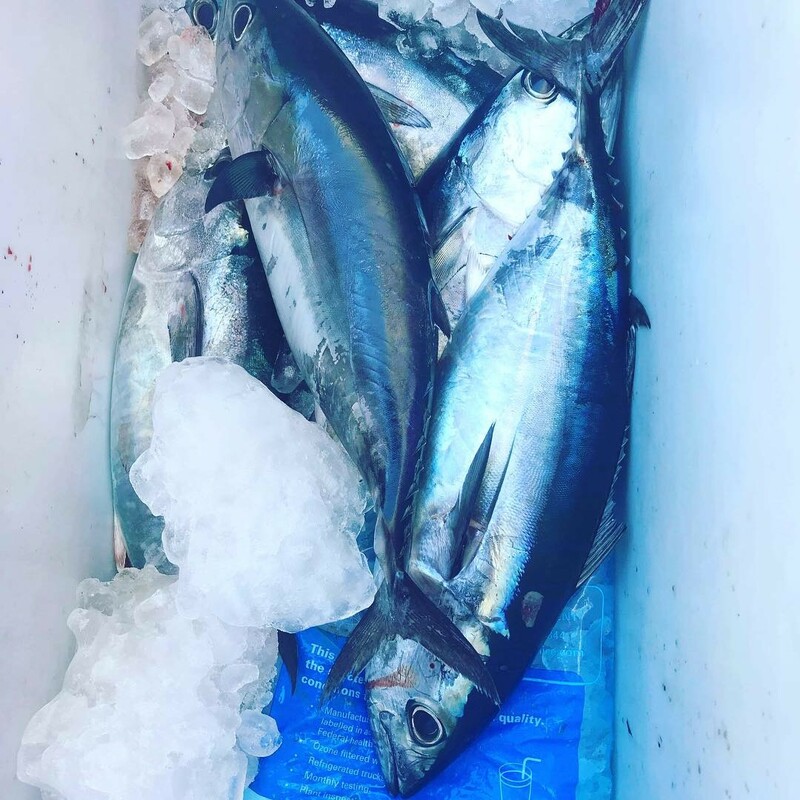 Old boy was over the moon, first trip on the new Poly and he's been wanting to target the tuna for a while, had 3 double hook ups, cant buy days like that. That Balter XPA is a beauty too, just not too friendly on the wallet! 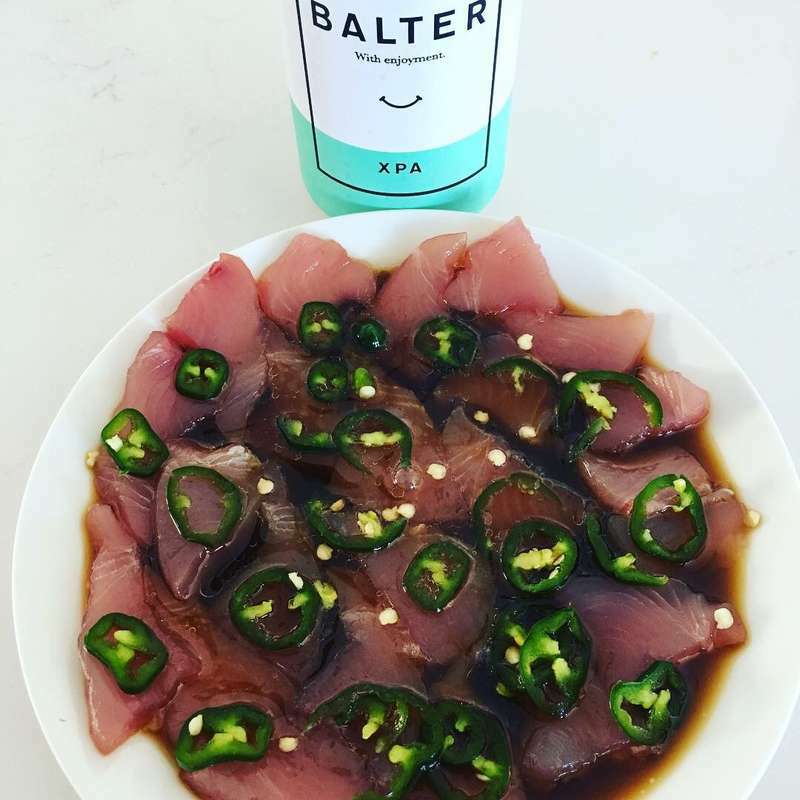 killa with the halepeno on top ..
Yumo man that looks awesome. Just little rubber skirts, one was a brand new bright pink one which was hit the most, the other was an old blue and pink one which i had to replace the old rusted hook on. well done. they are great fun too. we got 4 ourself on sunday. plenty of birds working the water. as far as blooding the deck , you couldnt have got a fish that holds more blood. we looked for hrs up here sat to not see anything on the surface. one day!